Every request had to be signed with AWS’s SigV4 so that the Elasticsearch endpoint could be properly authorized. That meant additional code to sign all your requests, and additional time for the endpoint to decode it. It might only be a few milliseconds of extra processing time, but those can add up. Now we can call our VPC Elasticsearch endpoint with a simple HTTP request. If your apps don’t require outgoing access to the Internet, there is no longer a need to set up NATs and IGs to access your Elasticsearch cluster. This saves you both complexity and money by not needing to maintain the extra configurations. Especially in a multi-availability zone deployment. Elasticsearch has no built-in security, so we used to simply restrict access to our EC2 instances that were running ES using security groups. 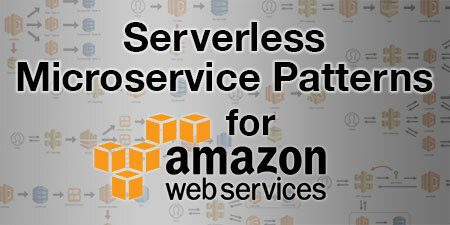 AWS’s Elasticsearch Service, however, only allowed for a publicly accessible URL, requiring additional levels of security to authorize access, like signing the request. This meant managing your cluster locally from the command line, or accessing Kibana, required you to compromise security by authorizing specific IP addresses to have access to the cluster. This was a terrible idea and opened up huge security risks. VPC-based ES clusters are no longer publicly accessible, which closes that security hole. To access the default installation of Kibana for a domain that resides within a VPC, users must first connect to the VPC. This process varies by network configuration, but likely involves connecting to a VPN or corporate network. This is also true if you want to access your ES cluster from the command line. The URL is no longer publicly accessible, and in fact, routes to an internal VPC IP address. If you already have a VPN solution that allows you to connect to your VPC, then configuring your security groups correctly should work. However, if you don’t have a VPN configured, you can solve your problem using a simple SSH tunnel with port forwarding. You need to have an EC2 instance running in the same VPC as your Elasticsearch cluster. If you don’t, fire up a micro Linux instance with a secure key pair. NOTE: Make sure your instance’s security group has access to the Elasticsearch cluster and that your Elasticsearch cluster’s access policy uses the “Do not require signing request with IAM credential” template. NOTE: The “HostName” should be your instance’s PUBLIC IP address or DNS. “User” should be your Linux distro’s default user (ec2-user if using Amazon Linux). localhost:9200 should now be forwarded to your secure Elasticsearch cluster. And that’s it! Now you can take advantage of the benefits of VPC-based Elasticsearch clusters and still maintain your local development workflows. 🗓 This post was originally published on November 1, 2017 by Jeremy Daly. It was last updated on February 15, 2018. I am trying to access the ElasticSearch Server hosted in private subnet in a VPC from the EC2 instance which is hosted in public subnet. But when i try to do ssh tunneling from locally to public EC2 instance, then the connection fails and I am not able to access the underlying ElasticSearch server hosted in private subnet. There should be no problem accessing a private VPC subnet from a public VPC subnet so long as the security group allows it. Make sure that the machine trying to access the Elasticsearch cluster has a security group that is authorized in the Elasticsearch cluster configuration. Thank you for a good reference. The approach worked with one additional step to provide access policy to the ES domain : “dont require signing request with IAM credentials”. Yes, you are correct. You have to have your Elasticsearch Access Policy set up using the “Do not require signing request with IAM credential” template. I’ll update the post. I followed all the steps correctly but i am getting ssh: connect to host my-IP-Address port 22: Operation timed out. 1) HostName 12.34.56.78 – what IP address is this? I pasted my EC2 instance’s private IP address. is that correct? If not what should be the IP here? 2) User ec2-user – what user is this? is this a IAM user , a AWS user? The HostName should be your server’s PUBLIC IP address or public DNS, not your private IP. The User is your Linux username, so it depends on the distro you’re using. If you are using Amazon Linux, then it will be “ec2-user”. If you were using Ubuntu, then it would be “ubuntu”. Debian would be “admin”. Etc. Thanks for you prompt reply. Are you able to SSH into that instance? You may need to open up port 22 on a security group associated with that instance. intenet gateway. So once i had it i was able to SSH the instance but port forwarding did not work. 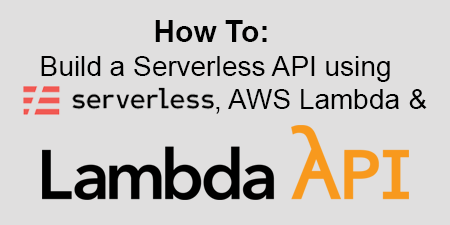 So the other solution which worked for me was i created an Lambda function under the same VPC as Elastic search and wrote a logic to get data depending on query we invoke. Thanks for all the help and sharing this post. this was really helpful. Is there any other way? I was under the impression that just settings the firewall would do. How about the VPN way? The point of the VPC is to create a private cloud that isn’t directly accessible from the Internet. You could do port forwarding to your VPC Elasticsearch cluster from one of your EC2 instances and then open up that port to the web. However, this is HIGHLY insecure and I do not suggest you do that. Your only real security would be to assign IP restrictions, which can easily be spoofed. If you have a VPN that can tunnel into your VPC, then there is no reason to use the method I describe in the post. The DNS for the VPC Elasticsearch cluster resolves to an internal VPC IP address, so that FQDN can be used in local applications as well. I’m trying to connect to ES from my EC2-instance as you describe but like Nitin Ware (first comment), connexion fails. I’ve checked the security groups. My EC2-instance has the same group as my ES cluster. When i’m on my EC2-instance (threw ssh) , it can access the aws ES so I suppose its ok for the security group. Have you any idea ? If you can access your Elasticsearch cluster when you’re connected via ssh, then there should be no problem using the port forwarding. Are you SSHing into your EC2 instance via your config file, or are you using a full connection string? The first step is to make sure you can connect to your EC2 instance by adding an entry to your config file. Try adding everything above except for the LocalForward 9200 vpc-YOUR-ES-CLUSTER.us-east-1.es.amazonaws.com:443 line. If this doesn’t allow you to connect to your EC2 instance, then your configuration (hostname, user, etc.) is incorrect somehow. Once you can connect, adding the LocalForward line should work. – Port 443 was added to the SG for the ES domain. – The SG of the ES domain was added to the SG for the instance. Upon making the above changes, I again attempted SSH estunnel on my mac. Now, when I use the browser on my local machine I am able to access both of the following URLs. Everything is good now ! What is sg?, can you paste your configuration here? 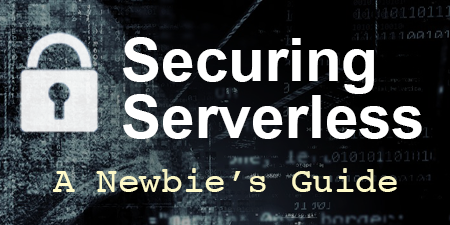 “SG” is in reference to the AWS Security Group. Thanks Florian. The tip to add port 443 to the SG was the solution for me. The IdentityFile is the private key that you generated as part of the “ec2-key-pairs.html” page you mentioned. If you are getting a permission denied error, then it is possible that your permissions are set incorrectly on that file. Make sure that you are referencing the location of your private key correctly, and then be sure to chmod 400 MY-KEY.pem so that the system has read permissions. You, sir, are a genius! Thank you so much for this. Hello, thanks for great article. I’m wondering – would it be possible to access Kibana/ES deployed in VPC by proxying the traffic via internet-facing load balancer ? I would think so. An earlier version of the AWS Database Migration Service required a proxy server on EC2-Classic instances in order to transfer data into a VPC. Same concept applies here. I would think that you could easily do this with NGINX as described in Appendix A of this old doc: https://d1.awsstatic.com/whitepapers/RDS/Moving_RDS_MySQL_DB_to_VPC.pdf. You’ll have to configure your security groups correctly as well. This would be a bit of a security risk, however, depending on your use case. You rock man! Amazing!.Works like a charm. I spent 2-3 hours troubleshooting incognito configuration. Looks like you figured it out! Let me know if you need more help. Google chrome says connection refused to localhost 9200. Can you please help me with this issue. Are you starting the tunnel by running ssh estunnel -N in your terminal? What happens when you run that command? You can also run ssh estunnel -Nv to see some additional information about the status of the connection. Let me know! I’m using Putty on Windows. I set up the ssh configs in Putty. I’m able to connect to my EC2 instance. But on my Windows browser, I cannot connect to ES or Kibana. Once you are logged into your EC2 instance, can you connect to your Elasticsearch cluster? Thanks for that. Saved my day. This is great example of how to access and interact with the ES Service. If you wanted to access this securely (i.e. without using the -k option in curl, how would yo do that? The -k option just skips verification of the certificate, the data itself is still encrypted. If you wanted to verify certificates, you’d need to be connected via a VPN. This is great example how to access securely ES/Kibana in VPC but what about authorization. Have you tried to use AWS Cognito to authorize Kibana when hosted in VPC? I am asking because I have a use case where not only one person (the admin) will access the Kibana so I need more granular control who use it. I think it would be possible to use API Gateway to access your VPC (https://aws.amazon.com/about-aws/whats-new/2017/11/amazon-api-gateway-supports-endpoint-integrations-with-private-vpcs/) and apply Lambda Authorizers to control access. If you make that work, I’d love to know about.